This Box comes from Romans 15:13: "I pray that God, the source of hope, will fill you completely with joy and peace because you trust in Him. Then you will overflow with confident hope through the power of the Holy Spirit." It has a retail value of $94.85! 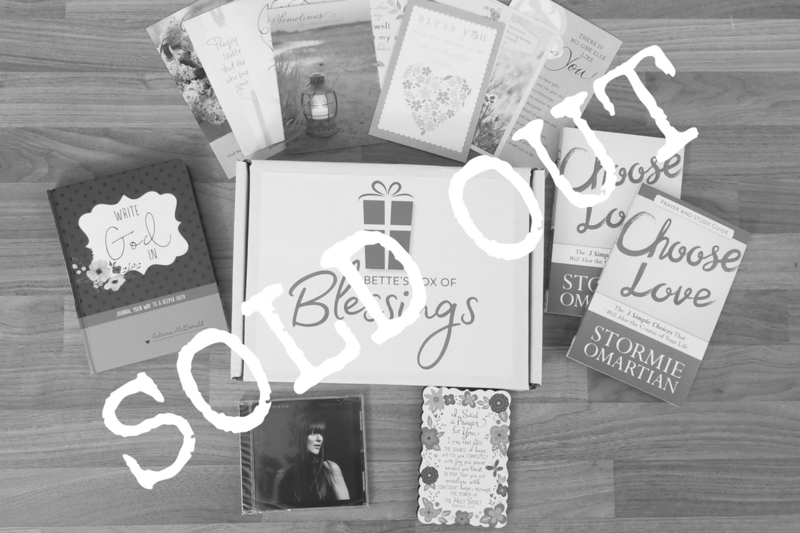 And every single item in it is something you will want to give as a gift or share…it includes the worship CD, Miracle or Not by Alisa Turner, a "I Said a Prayer For You" desk plaque, the Choose Love book and study guide by Stormie Omartian, the Write God In journal and a pack of cards from FairHope Notes.